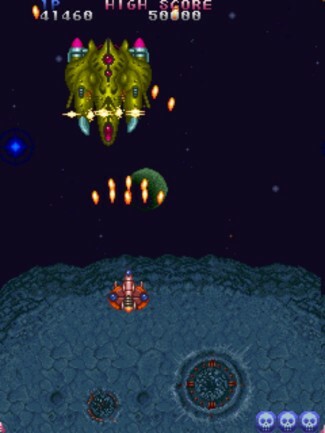 A classic space shoot-em-up. You control a spaceship shooting enemies as you progress through each area and collect various power-ups along the way. There are motherships to defeat at the end of each area.